The flags are flying and we plan a simple celebration with family to view the fireworks from the dock at the Sweetwater Mom’s lake house! It is a beautiful summer day here at Sweetwater! 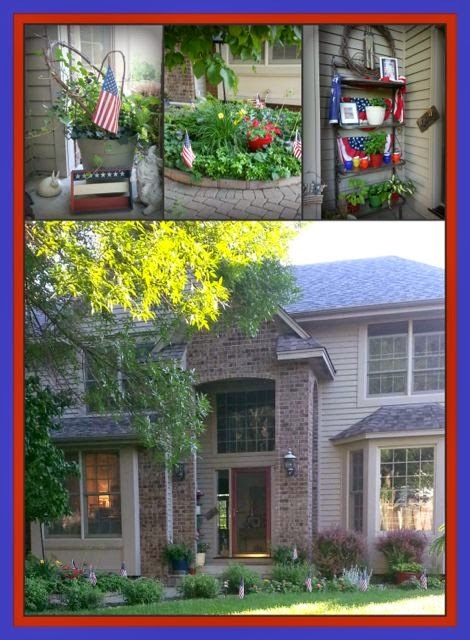 Take a peek at the simple patriotic decorations around here. I have a collection of “stuff” and just plop it here and there! 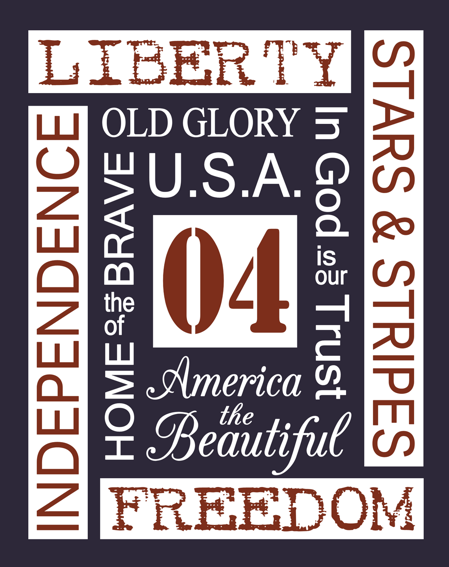 Really….what is more like summer than the Red White and Blue? Flags line the front gardens and the bakers rack gets some bunting! The little fruit box is painted and stenciled to look like a flag! 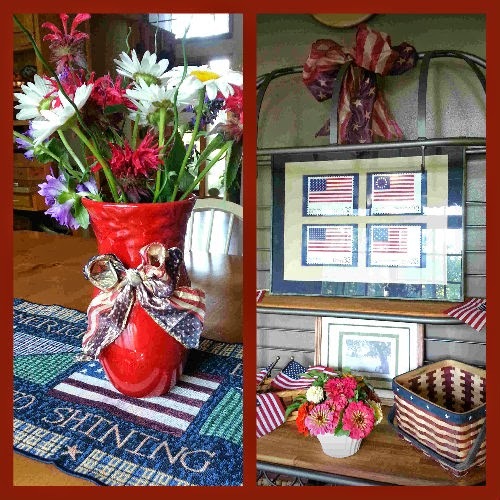 This flower arrangement of Daisies, Red Bee Balm and Campanula sits on a patriotic runner on the Kitchen Table. The framed postcards and painted baskets with a few flags decorate the bakers rack. The big bow is made from a piece of gorgeous ribbon I splurged on long ago…..I felt guilty when I spent ten dollars for a yard of it…..but in hindsight it was worth it! 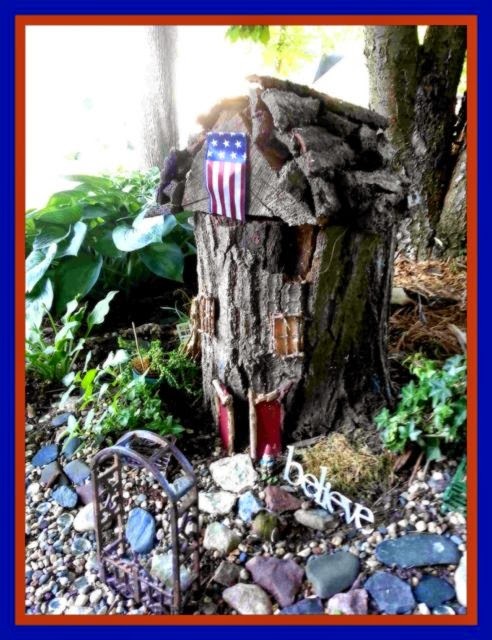 Even the Fairy Garden House is “Flying the Flag”! Posted in: decorating, flower arrangement, holiday.